Hello everyone! Hope you had a great weekend! We finally got some sun and were able to spend time outside! My husband and I got our planting in and I am excited to see it grow over the next couple of weeks! 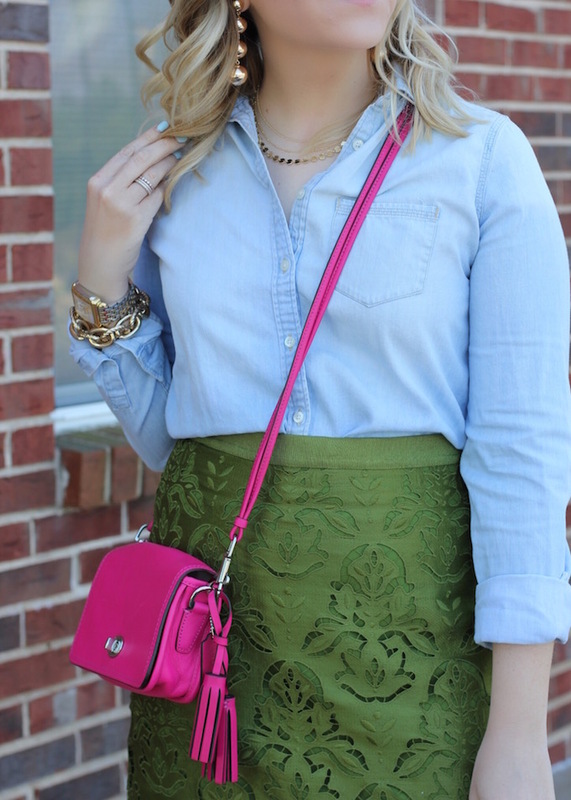 This green skirt is a new purchase and it is quickly becoming a favorite! 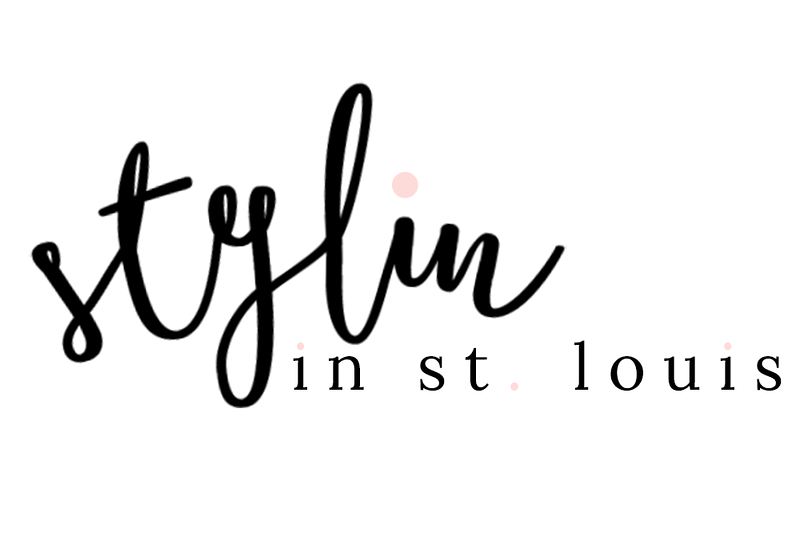 It is on sale and I love that it can be dressed up or down! that skirt is just gorgeous. 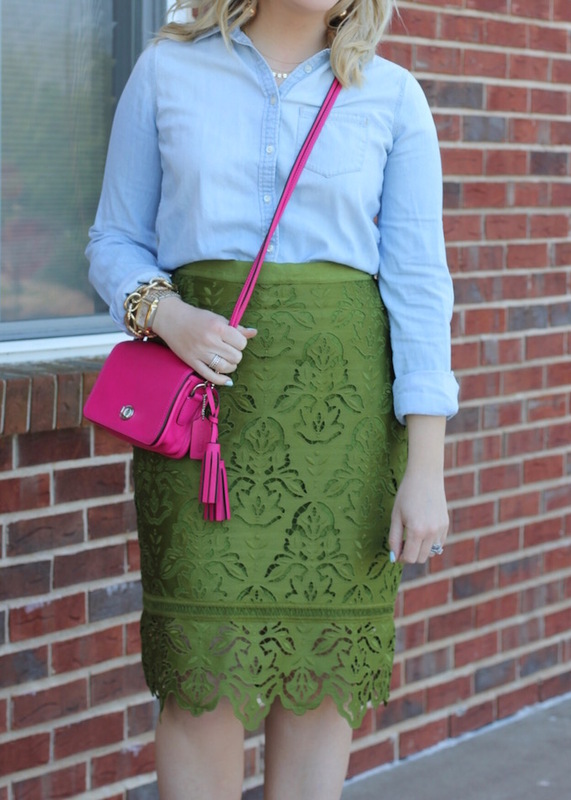 I love how you paired a chambray shirt with the skirt, Jacqueline!! Totally fun! 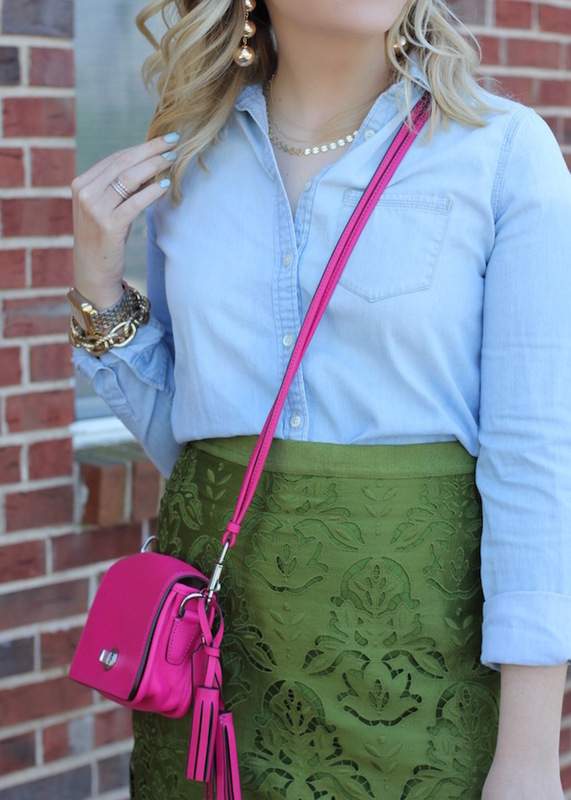 I love your skirt, its super adorable with that denim top! I used to live in St Louis for 5 mos, my son was born there almost 24years ago..time flies ! OMG! This skirt is so pretty! I love the color and the texture of it! I adore this shade of green. 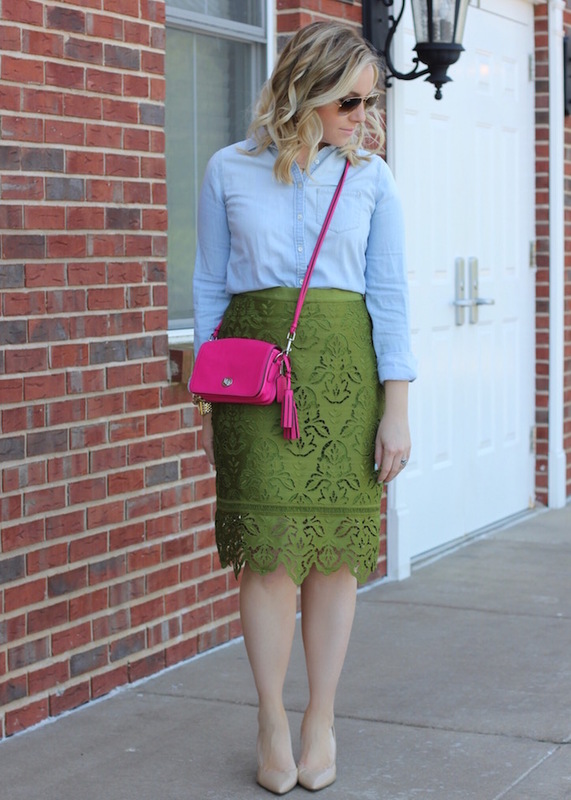 Great styling for the skirt too! I am in love with this skirt! If I was still working in an office setting, I would absolutely be ordering NOW!! So cute! 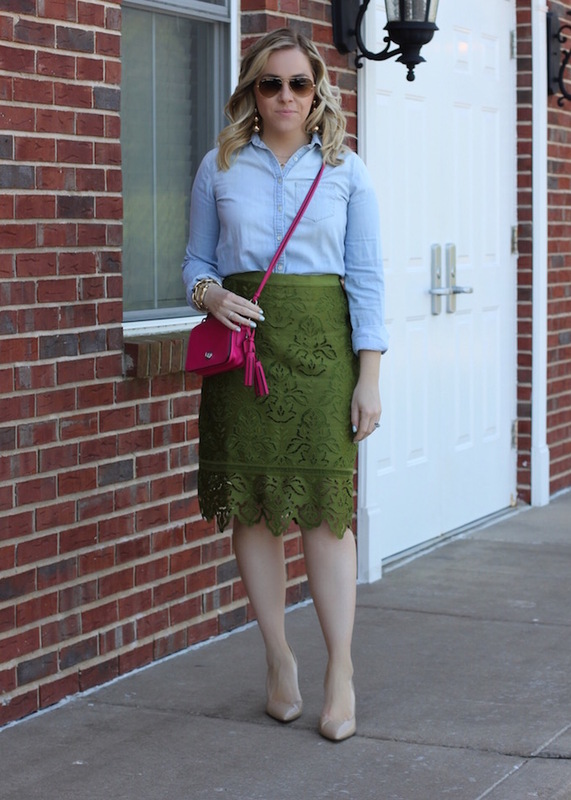 What a fun office look! 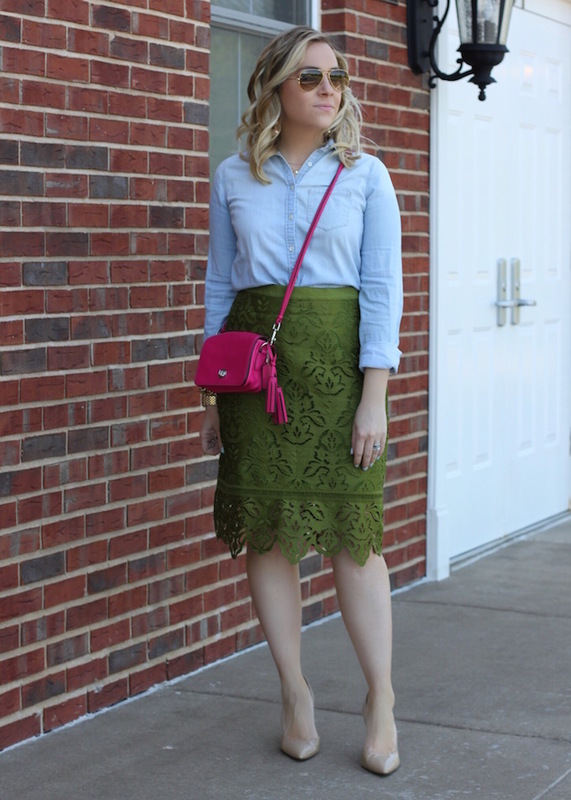 I love this pretty green skirt, and could totally see rocking it at work! I love the green and it looks so good with the denim top! 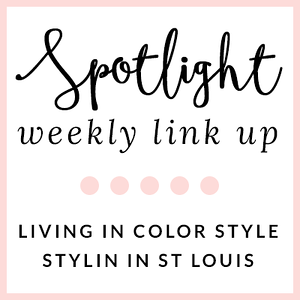 Love this color combo! That skirt is too cute on you. 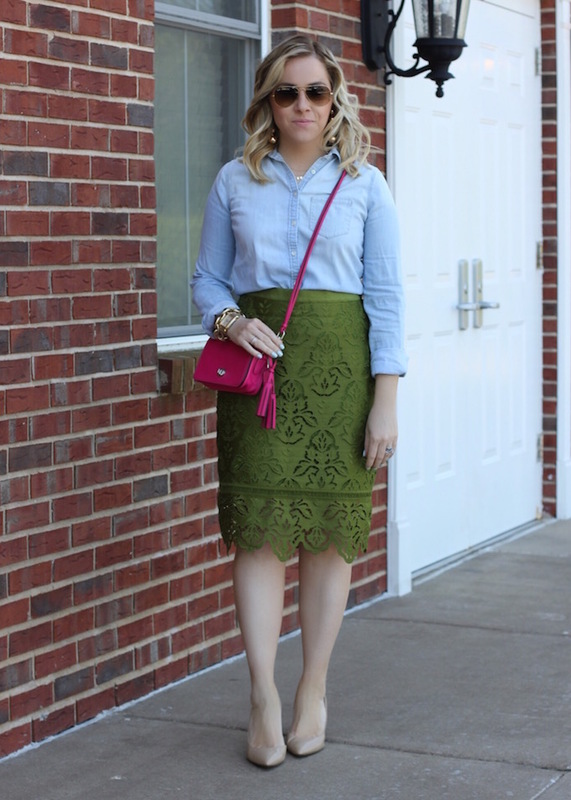 What a pretty lace skirt! I love the pop of pink you added. You look stunning in green! love your cute skirt!